Those of you clamoring to hear the new Decemberists album The Hazards of Love before you buy it are in luck today. Entertainment Weekly is streaming the album in its entirety on their Music Mix blog; another example of the great music coverage EW has been providing as of late. If you've already heard the album and are wondering what a marathon live performance of it sounds like, I've got you covered there as well. NPR Music is hosting a stream of the Decemberists' recent live-debut of their 'folk-opera' at SXSW, featuring guest vocals by Becky Stark of Lavender Diamond and Sarah Worden of My Brightest Diamond. Those of you itching to get your hands on a digital copy of the album should hit up iTunes, who have been offering it up as an early release since this past Tuesday. 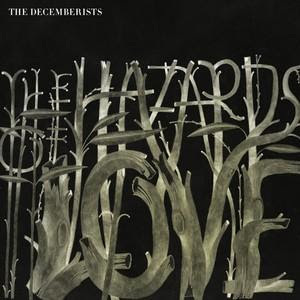 I'll be posting my review of The Hazards of Love this coming Tuesday to mark the album's physical release, so check back then if you're interested in seeing what I think of the Decemberists' latest disc.